Today we are going to show you an efficient ways of cleaning your kitchen sink and getting rid of the germs by sanitizing it. 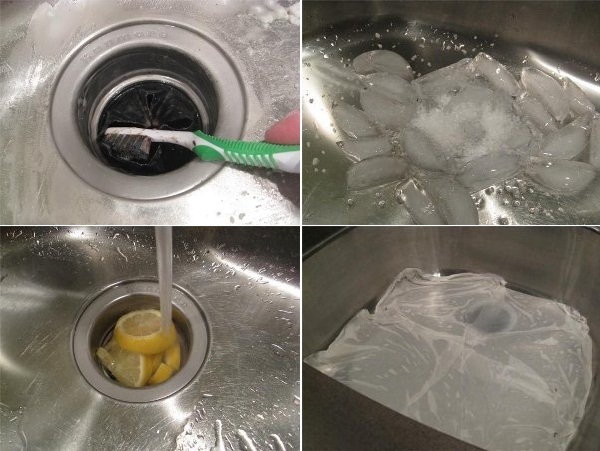 Follow these simple steps (you won’t be using any chemicals) and your sink will look brand new again. You will need to use: liquid soap for dish-washing, distilled wine vinegar, baking soda, rock salt, lemon or lime, toothbrush, old rag and a soft sponge. If you want to make a daily clean a mild soap and a sponge will do the work. It is very important to avoid using ammonia or bleach because they can do some serious damage to stainless steel. After cleaning just rinse sink and wipe it dry with a towel. It is really important that you rinse out the sink every time after using it, as the salt in the food can also harm the stainless steel. 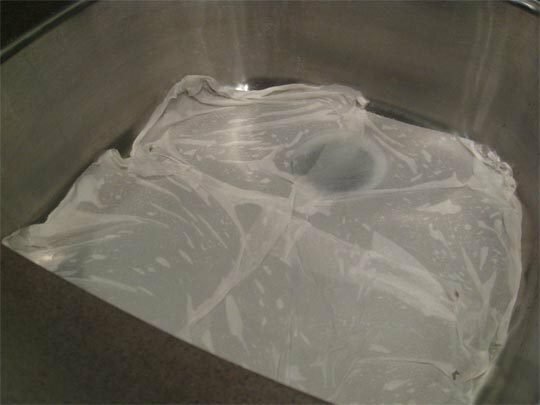 Wet the surface of your sink and cover it with a little baking soda. Make a paste out of it by brushing with the sponge and then rinse well. 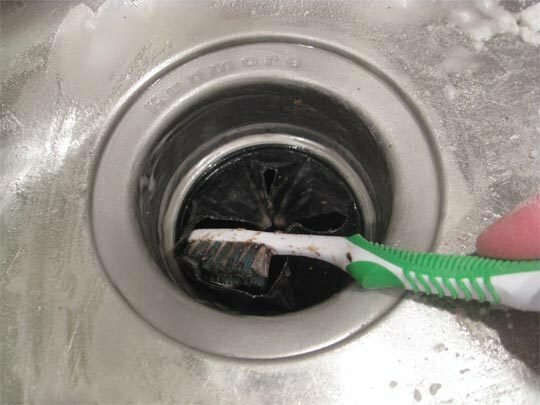 By using the toothbrush you can clean the caulk seal and all around the sink. Scrub well with baking soda. Rinse and then repeat the process. Soak some paper towels in vinegar and cover the entire sink with them. Let them sit for 20 minutes then throw away the paper towels. With a sponge dipped into water and soap, clean the surface of the sink, then rinse thoroughly. 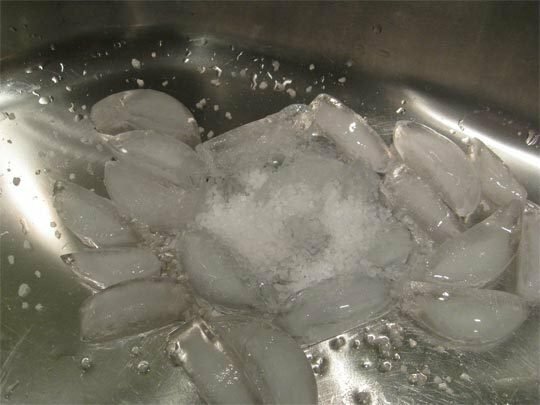 Another option for cleaning your sink would be to put two cups of ice into the drain and pour one cup of rock salt onto them. Turn on the cold water and let it pour onto this mix and turn on the garbage disposal. Then just wait for the ice to disappear. You can also clean your sink by using a lemon or a lime. 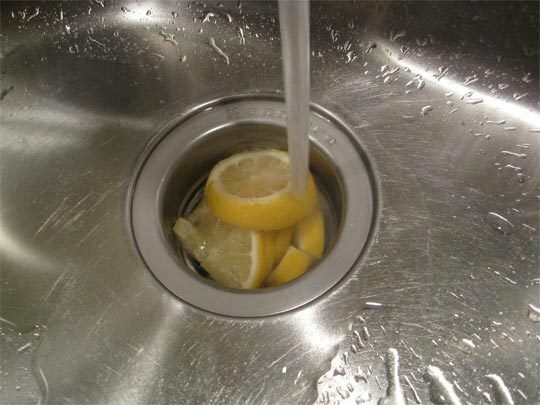 Just cut the fruit, turn on the water and the garbage disposal add the lemon piece by piece to the garbage disposal. This will clean your drain nicely and will also give a pleasant smell to your kitchen. Baking powder and vinegar works to! Put the vinegar in a spray bottle and sprinkle the baking powder on the surface you want to clean. You can use a tea strainer to sprinkle . Spray the vinegar over and let it soak (it will bubble). Wipe it off after a few minutes! Works on stainless steel appliances too! Use Windex. Windex is a great product. While you probably associate it with cleaning the glass and mirrors in your home, Windex is also excellent for getting rid of the streaks in your stainless appliances. They will also help spruce up the shine factor. The wonderful thing about Windex is that you do not need to use large amounts of it in order to see the difference that it makes. You can grab a bunch of paper towels for wiping to ensure that there are no streaks left on the appliances. Give extra virgin olive oil a shot. If you prefer to use natural or organic products, give extra virgin olive oil a shot. Many expert cleaners swear by this product to make stainless steel appliances look good as new. Some even testify that it works wonders for hard water marks. All you need to do is pour some extra virgin olive oil on a cloth and start wiping. Voila! Pick up some Murphy’s oil soap. Who would have thought, right? There are times when cleaning solutions come from some of the most unlikely places and this is one of those times. Murphy’s oil soap is said to have miraculous effects on stainless steel appliances. If you want to say goodbye to those annoying streaks and drips, this is the way to go. Head to the hardware store and start browsing. There are myriad stainless steel cleaners available on the market and sometimes the product that works just right for you will come down to trial and error. Be patient and employ trial and error until you find the right product.